Steve's Club Camden: Thank you. During this holiday, I like to give thanks for the support of our community. 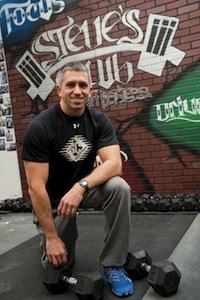 Many of you have seen Steve's Club grow from our first program in Camden, NJ in 2007 into our National Program that now has over 32 locations nationwide. 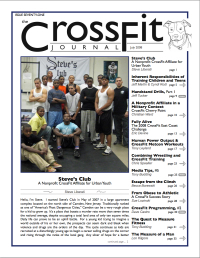 YOU are changing their lives through CrossFit. Whether you started one of our 32 Clubs, volunteer to coach kids each week, are a guest coach at Leadership Camp, or are a long-time donor or supporter - WE THANK YOU! You've played a part in helping these at-risk kids and teens choose a better path. • Over 1500 kids came through our program in 2018. During the holidays especially, I think about how important my family and friends are. They mean so much to me personally, and I wouldn't be where I am without them. Through Steve's Club, these at-risk kids have another family. They hang out with friends who are equally committed to positive things, and have a community of people who believe in them. You've helped provide these kids and teens with opportunities, and believe me, they are thankful. They know how special Steve's Club is. It removes them from the dangers and challenges of their daily lives, even if it's just for an hour a day. They show their thanks by coming in and working hard. They clean up after themselves. They thank the coaches. They help new kids. They set goals and learn about discipline. They go back into the world with new values, ready to become tomorrow's leaders. I'm thankful that you're part of the Steve's Club family, helping us Strengthen a Nation, One Kid at a Time. It makes all the difference that we can do it together.